Our combination of advanced technology, expert support and unrivalled performance means that when you hire a mixer from Explore, you know you’re covered. 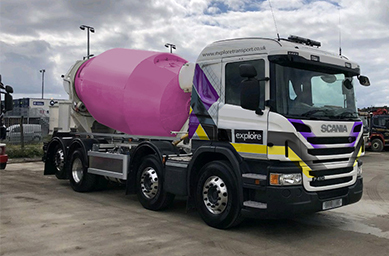 With both articulated mixers capable of carrying up to 11 meters of concrete and rigid mixers able to carry up to 8 meters to choose from, choosing Explore means choosing versatility. 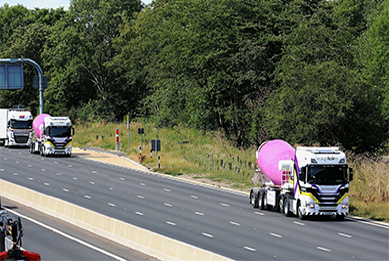 Whether you’re looking to hire a mixer on a short- or long-term basis, our team of specialists are by your side each step of the way – from choosing the mixer best suited to your site, to ensuring it arrives quickly and safely, to utilising precise remote and on-site monitoring to guarantee the unmatched performance our customers rely upon. From industry-leading safety guarantees to reliable, efficient performance to expert operators capable of complete maintenance and repair on-site, our combination of quality and efficiency is a powerful mix. We take safety seriously. That’s why every mixer in the Explore fleet is sourced new from globally recognised manufacturers, runs under the FORS Gold banner and comes with a fully trained specialist operator. 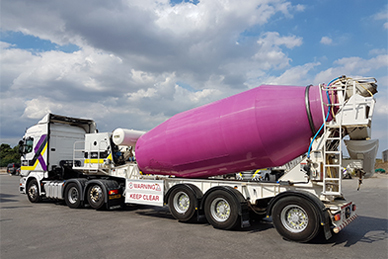 We ensure every mixer in our fleet, is operating to the high standards we expect with regular PDI checks and complete service and maintenance according to OEM guidelines, with a digital copy of our checks forwarded to you before delivery. Backed by the state-of-the-art camera and intelligent proximity sensor technology fitted to every vehicle in our fleet, every Explore driver is fully trained in health and safety precautions, along with Safer Urban Driving. With Explore, you know you’re in safe hands. From the moment our mixer begins its journey to your site, to the moment it returns to us, our cutting-edge technical support and analysis ensures everything goes smoothly. With every mixer in the Explore fleet featuring sophisticated 360. camera systems, intelligent proximity sensors, precise GPS tracking and audible and visual reverse warning systems, we make sure your experience with us is easy and efficient. We monitor every mixer on its journey to your site so we can give you reliable real-time updates on its ETA to make sure you stay on track – and once it’s arrived, our support continues. With advanced telematics giving our trained operators and dedicated technical support team the power to monitor performance in real-time, we ensure you’re always operating at the highest standard. When you partner with Explore, you’re partnering with peak performance. Whether you choose an articulated on rigid mixer, you’re choosing a painstakingly maintained, modern piece of equipment bought new from the industry’s leading manufacturers. Every mixer in the explore fleet is fitted with performance-enhancing technology, including proximity sensors and innovative camera systems for safer delivery and on-site operation. It’s more than just our mixers that perform. 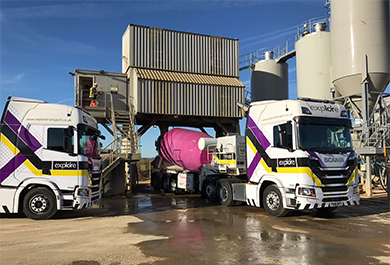 Each mixer is driven and operated by self-sufficient Explore experts fully trained in complete on-site mixer maintenance and repair – and for those rare times when repair isn’t possible, we’ll send a replacement vehicle straight to you.